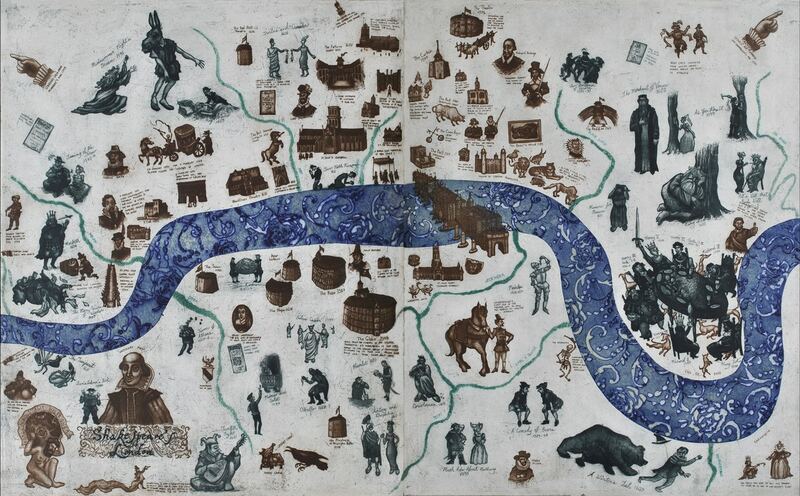 Mychael Barratt, acclaimed artist and printmaker as well as the current president of the Royal Society of Painer Printmakers, is now showing a collection of prints and original artworks at Sarah Wiseman Gallery in the solo exhibition 'Maps, Myths and Muses'. Looking at Mychael Barratt's prints and paintings is an adventure through time. Describing himself as a 'narrative artist', he collects, categorises and sorts a vast assortment of characters and events both fictional and historical, creating intricate works that amuse and absorb the viewer. "I was walking along the South Bank when a sudden rain storm drove me into the Royal Festival Hall. There was an exhibition of etchings in the foyer that I loved so much, I signed up for an etching course at Central St Martins the following week." Read the full Q and A below!